In Mac terms, I am a late starter. It took me eight years of using a computer before becoming a Mac user - though I suppose my fondness for Motorola CPUs has remained quite steadfast! My first computer was a Sinclair QL (£399, based on a Motorola 68008) back in 1984 while I was a student studying Chemical Engineering. It was a lovely computer with excellent free 'Office' applications, great BASIC, and the ability to multitask. Although I did yearn for a Mac Plus at the time, it was well out of my price bracket at about £2,500! I tried to make my QL into a Mac with a very crude GUI package called ICE, but it was not really the same. My next computer was a Commodore Amiga 1000 (£900, based on a Motorola 68000) in 1987 with its excellent graphics and sound capabilities and decent GUI. It was the best I could afford, since a colour Mac (in 1987) was still far too costly. 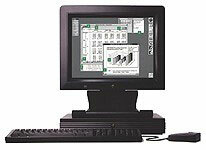 Once I started work, Unix on Sun Workstations is where I was most at home developing software. During that time my interest in one day buying a Mac waned, and a NeXTstation (with its Object Oriented Development environment) become the computer system to dream for. My first real experience with a Mac happened when my flat mate bought a LC 475. Luckily, he would usually retire to bed earlier than me and allowed me to really get to know the GUI I wanted for so long. At first, though, it was a bit of a shock. Where was the command line? How can you use a computer without being able to tinker with startup scripts and fix your 'environment variables'? I was unfortunate to also experience Windows at work (which was supposed to be Mac-like), so I thought I was missing something really fundamental! Once my flat mate started to buy some quality applications for his Mac, I suddenly realised how easy it was using one - and nothing like a PC., I could leave my Unix technical knowledge at work and really have fun being creative instead of tinkering with the operating system. The simplicity of working with a Mac was like a breath of fresh air, and I was truly hooked. I had to have a Mac of my own. Within a year, I owned a Mac, it was a IIvx (Motorola 68030), and it came at a bargain price. Admittedly, it was a little slow compared to the LC 475, but I thought it would be future-proof with an Apple defined upgrade path to PowerPC. Once the PowerPC came out, though, I found that my upgrade path was a very expensive motherboard replacement - ouch! Still, the stodgy IIvx served me well as I expanded it with its own graphics board, a second monitor, and a modem for Internet access. My next Mac was a 6400/200. This is a great computer and still serves me well as a file server and for my legacy software. It has a USB card, an extra graphics card, an ethernet card in the Comm Slot II, and a Sonnet G3 upgrade, all installed and working without any problems. Soon after that I met my partner, Fran. She had never used a computer and was quite disinterested in technology. Still, she was interested in my Macs but was scared of 'damaging them'. Since my IIvx was being loaned to her daughter at the time, I decided to find Fran a Mac of her own. Luckily, my old flatmate sold his old 475 to me, so I finally got hold of my first Mac! As time went on, I have become a real Mac fanatic. I developed a Plant and Garden database (using FileMaker) for Fran to use (available at my website) and started up the Dorset Mac User Group (DMUG). But there was a problem: The 6400 was in a spare bedroom, and my partner was becoming a 'computer widow'. I decided to purchase my first portable, a Tangerine iBook (which is now called Clementine) and an AirPort base station. This way I could surf the Internet while at least being in the same room with as my partner! Over the years, I have collected more Macs, and I now have 3 Mac Pluses, 2 SE/30s, a IIfx, a Power Mac 7100, and another iBook for business running Linux! It always impresses Windows-based businesses when I have been able to demonstrate to how Linux could become a cheap Windows server by using my iBook (running Linux) and PowerBook (with Virtual PC/Windows clients) connected via a wireless Airport connection! The IIvx is now with another friend wishing to learn computers. The LC 475 is among a collection of computers I have been given which are available for long term loan or donation to the local Dorset community. So far I have been able to pass on over 30 Mac donations to local people in need of a computer and charities/organisations. Even now I am offered LCs and LC IIs; these things seem to last forever, but even the local Brownie groups or third world organisations (here) appear not to be interested in them, which is a shame for the poor little orphans! My current computer is a lovely PowerBook G4, and Fran has Clementine. She is really become pretty proficient with it in such a short time, being able create her own newsletters, adverts, and course programmes. Now I finally have a Mac I always wanted with the NeXTstep development environment (Mac OS X) I dreamed of and Unix lurking deep within. Almost a perfect ending. All I need now is a job where I can use Macs full-time and professionally!